Kemi Arowojolu - "God said to me though a door has just been shut against you and someone just disappointed you, I am all that you NEED TO KNOW. Put your trust in me, for vain is the help of man". Many times I have found myself at a cross road and in a confused state needing help or courage to carry out an assignment. I have often been disappointed by friends and loved ones but in my down moments, I have recognized God to be All Sufficient, an ever present help in my times of need. He's indeed all I need to know. He has taught me that if I focus on Him, He would bless me and make me a blessing to my generation. I Believe that as you listen to this song, the Almighty God that showed Himself to me, will reveal to you that HE is ALL YOU NEED TO KNOW. This song is produced by Femi Okunuga and Johnson Olajide for Finji Studio, Live Electric and Acoustic Guitars by Damilola Balogun, mixed and mastered by Femi Okunuga at finji studio. While the video is directed by Award winning Uk-based producer, Uvi Orogun. 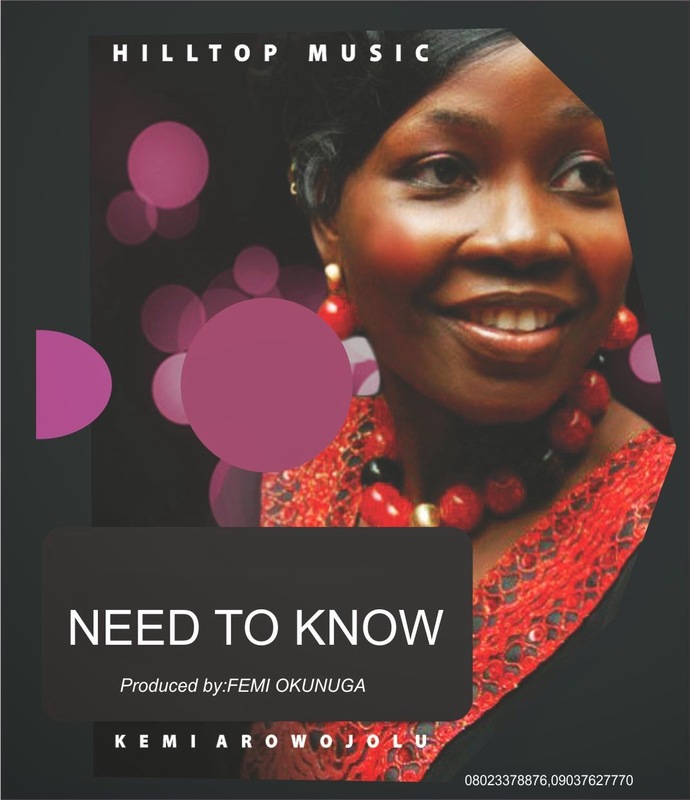 Kemi Arowojolu is a music minister and speaker whom God has sent with a mandate to transform lives and inspire hope. She is the convener of Call to Worship, a quarterly worship program and vice president of Hilltop House. She is married to Wale Arowojolu, and blessed with three children. She is a member of RCCG Dominion Cathedral Lagos Province 12 Choir and also a worship leader. Kemi Arowojolu is also into the "Music business" as she runs and manages a Music Recording and Production Outfit under "Hilltop House". Hilltop House has quite a number of divisions which include Music School, Music Studio, Publishing, Seminars and Conferences.